CES 2018 marks the start of something new for carmakers. While until last year, automobile companies were engrossed in showing off their concept vehicles, the idea at this year’s Las Vegas trade show was to focus on software intelligence. Mercedes is one such car maker which presented its own virtual assistant as CES, with an aim to outrun other companies relying on Alexa and Google Assistant for in-car infotainment. “Mercedes-Benz User Experience” (long for MBUX) will allow users to interact with their luxury chariot by calling out “Hey, Mercedes“. The company intends to make this experience “holistic” in the future by providing a unified experience of the entire fleet of Mercedes vehicles. The new system will be available starting with A-Class hatch in Europe and GLA and CLA wagons in the USA and Canada. The capabilities of this voice assistant, LINGUATRONIC, are more enticing than its name. It can perceive more natural and spontaneous flow of commands. You wouldn’t have to say exact commands for the kind of music you wish to hear or how hot or cold you want the car to be, just throw in a loose, “Hey Mercedes, it’s too hot” and it will turn down the heating automatically (although I’m curious to know its response to “I’m burning”). Mercedes is abandoning the steering wheel-based touchpad and users can now simply pinch in or out to zoom in on the touchscreen. The 3D navigation onboard is powered by HERE Maps and the driver can also get a 2D view of maps seamlessly blended with the central console. 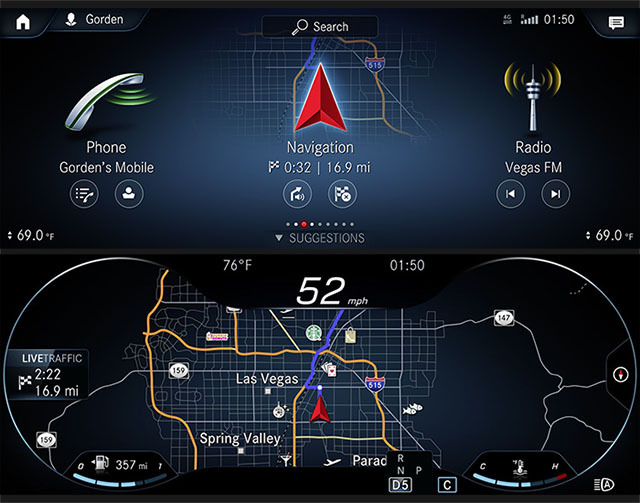 The central infotainment system also features support for both Android Auto and Apple Car Play. The MBUX system employs a couple of Nvidia chipsets, so a learning curve is inevident. 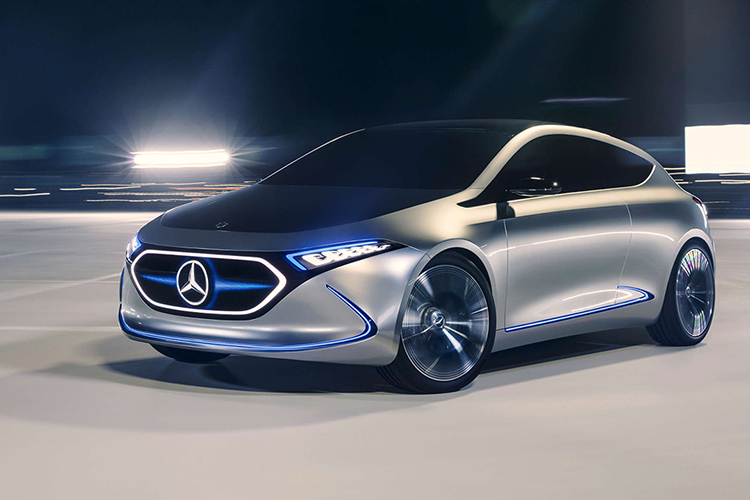 Although Mercedes has not clearly slated out its plans of uniting MBUX and autonomous vehicles in future, there’s no doubt it will happen in future. The company recently concluded five month-long autonomous vehicle tests across five continents with a self-driving Mercedes S-class, collecting comprehensive stats about driving conditions across several countries, which it has used to inform the AI system.